get the most out of Tested by Fire. I’d love to help you get the most out of your journey through Tested by Fire. Whether you’re studying alone or part of a small group, these resources will help deepen your understanding of key principles. Along with providing additional teaching, these videos offer examples from my own personal testimony to help you apply and live out these truths in your own life. I pray they will encourage you to press in for God’s best. The following outline will help you incorporate the video sessions with the workbook lessons. Following this outline will take you through Tested by Fire at a slightly slower pace, taking 8 weeks to complete the four weeks of homework. Download any of the videos below by clicking on the “Download Session” video link and on the subsequent page, selecting which resolution you’d like to download on the right. NOTE: This is a third-party site to facilitate the download of the videos and not anything endorsed by Kelley Latta Ministries. For those choosing not to use the videos, I’ve provided an optional discussion guide for your Introductory Session. 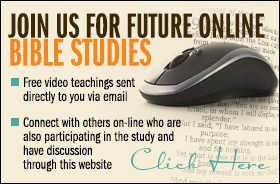 This will help prepare your group for the series and define the goals of the study. We are also offering Printable Weekly Discussion Guides to help you direct conversation. Please Note: Our new revised and expanded edition includes discussion guides in the back of the book. We’re also providing them here for your convenience. *Be sure to select the appropriate version so your page numbers coincide correctly! Invite Kelley to kick-off your small group study!